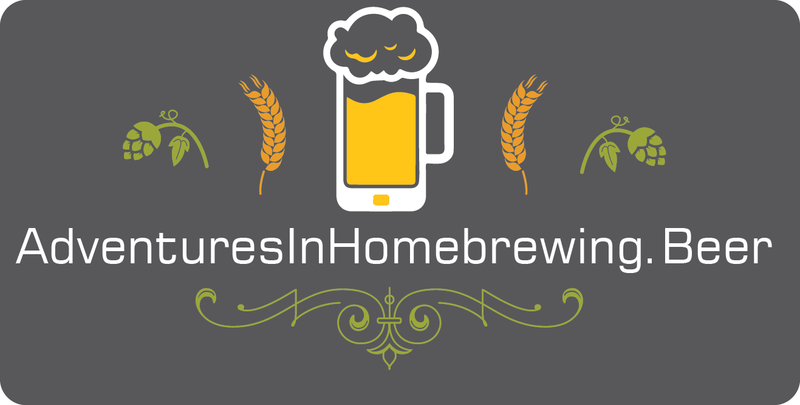 An important step in homebrewing is learning how to make a yeast starter. The easiest way to get it going the right way, is to use a stir plate. Enter the StirStarter. Before I get into the review of the StirStarter, I think it is good to look at my history with starters. This is a step that I really didn’t get into at the beginning of my brewing. More often than not, I just used dry yeast….sprinkle and go. Occassionaly, I used liquid yeast, but just did a smack pack…smack it and go. Well, then tried my first yeast starter. I started with a 2 liter flask, and used an airlock. DON’T USE AN AIRLOCK! 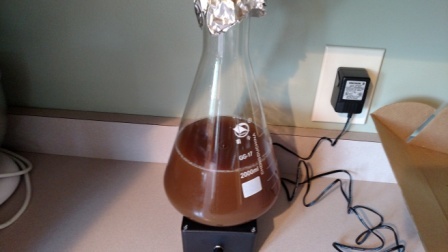 ( The airlock does just that….it stops oxygen from getting in there, which is needed to promote good yeast growth). I would walk by and give a little shake. I got some propagation, but not nearly enough. After finding out not to use an airlock, the next time, I used sanitized foil on the top of the flask. That is the better choice. Now I was moving forward and learning some stuff along the way….and that is what we should do, right? So, a few months back I got together with a few fraternity brothers for a night of brewing and tasting. It is always great to get together with some great guys, taste some great beers, and see how others run their brew processes. The first brotherhood brew was at my house, when I made Commandant Pliny. This time, we went to Bill’s house. 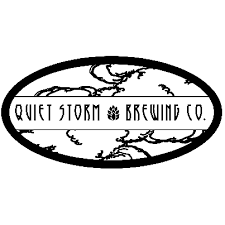 Bill and Jeff were brewing that night, both are brewers for Quiet Storm Brewing Co.